Prepare Long Grain & Wild Rice as package directs. Microwave the sweet potatoes for ~ 8 minutes until tender; cool slightly. Heat the black beans in a saucepan; drain. Slice the sweet potatoes in half and scoop out the insides; place in a food processor along with the black beans and the seasonings and process until combined. Scoop into a mixing bowl. Add 1 cup of the cooked Long Grain & Wild Rice. Mix by hand until rice is fully incorporated. Shape into 6 burgers. Heat some extra virgin olive oil in a skillet. 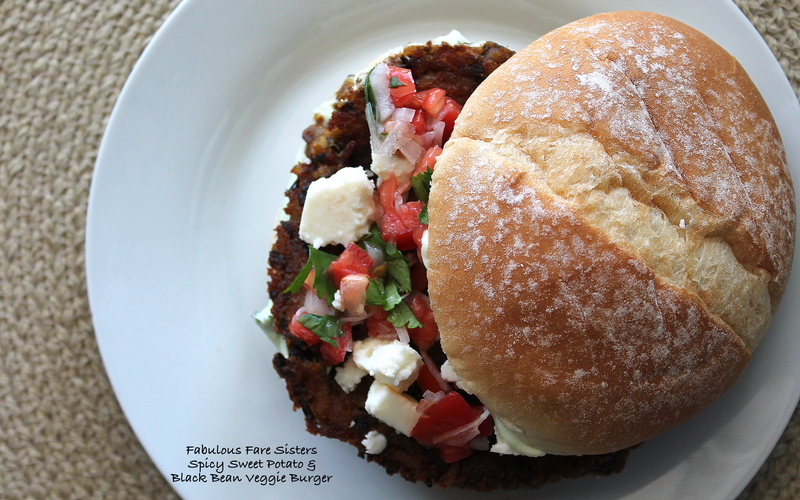 Cook veggie burgers 8-10 minutes on each side on medium to medium-low heat until nicely browned. Meanwhile prepare the Salsa Fresca and Cilantro-Avocado Crema. Combine all ingredients in a small glass bowl; seasoning with salt to taste. Reserve. Combine all ingredients in a small mixing bowl or food processor; mix or process until smooth; seasoning with salt to taste. Reserve. To serve: Spread some Cilantro-Avocado Crema on each roll bottom. Place cooked Veggie Burger on bun. Top with Salsa Fresca & Queso Fresco crumbles. 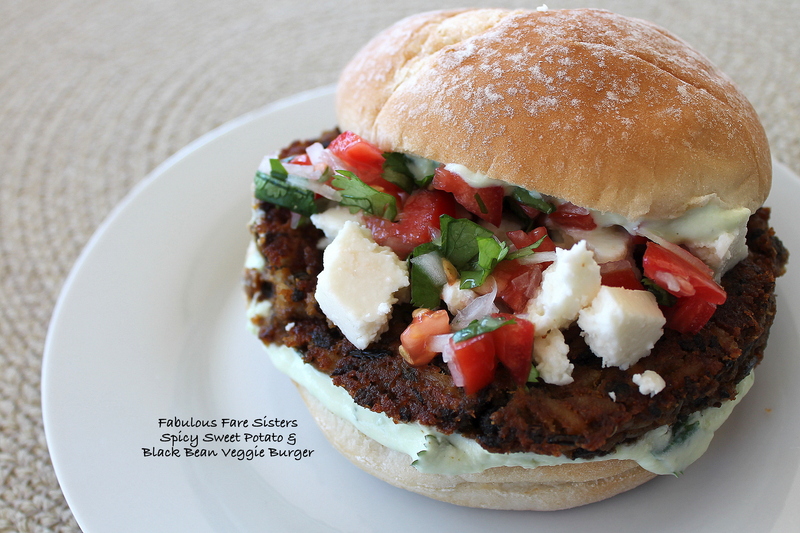 Use more Cilantro-Avocado Crema on top bun too if desired. Dig in! Oh boy do these look good! Far better than any restaurant version I’ve seen that’s for sure, but then the pico and avocado don’t hurt!! Thanks for linking up to us at Fiesta Friday! Hi Linda – these look fab and I’m sharing them with my hubby as he has been promising to make me veggie burgers for weeks! May be hell finally do it for Valentine’s Day!